What's a MacGuffin in Films and Why is It Called That? Shih C. asks: Why are McGuffin’s in films called that? This black falcon statuette – the so-called “Maltese Falcon” – is a perfect example of what film connoisseurs call the “MacGuffin” (or “McGuffin”), an important and oddly-named plot device that appears in many movies. For the uninitiated, in a nutshell a “MacGuffin” is an object, event, or person that the characters in a story value greatly- so much so that nearly the whole plot revolves around it, despite that the thing itself isn’t actually terribly important to the actual unfolding story. The main thing I’ve learned over the years is that the MacGuffin is nothing. I’m convinced of this, but I find it very difficult to prove it to others. My best MacGuffin, and by that I mean emptiest, the most nonexistent, and the most absurd, is the one we used in North by Northwest. The picture is about espionage, and the only question that’s raised in the story is to find out what the spies are after. Well, during the scene at the Chicago airport, the Central Intelligence man explains the whole situation to Cary Grant, and Grant, referring to the James Mason character, asks, ‘What does he do?’ The counterintelligence man replies, “Let’s just say that he’s an importer and exporter.” “But what does he sell” “Oh, just government secrets!” is the answer. Here you see the MacGuffin has been boiled down to its purest expression: nothing at all! There is a bloke on a train He sees a package, and asked what it is. Man says it’s a McGuffin. Other man asks what is a McGuffin? Other cove says a McGuffin is an apparatus for trapping lions in the Adirondacks. ‘But there are no lions in the Adirondacks,’ other bloke says. ‘Then this thing is no McGuffin,’ second lad says. “Certainly, a mongoose,” replied the man. “But why do you wish to kill snakes with a mongoose?” asked the broker. MacPhail was a studio writer, meaning he was hired to “fix” scripts and most of the time did not get the credit he deserved for the task. However, he became widely trusted by Hitchcock (because he specialized in “scenario editing”) and was often hired to help on the director’s films, such as one of Hitchcock’s early greats, The Thirty-Nine Steps, where it is generally claimed MacPhail first came up with the term. If MacPhail did indeed coin the term, it’s unclear today how he came up with it. According to some sources, MacPhail himself used to say he borrowed it from the aforementioned story of the two men on the train, but I could not track down any such instance of MacPhail ever stating anything of the sort, and none of the sources who claim this back up the claim with any primary text. Some have alternatively speculated it alludes to that the word “guff,” which is defined as meaning “nonsense.” It also once meant “stupid” or “clumsy” person. So, perhaps MacPhail took the first part of his last name and put the word “guff” behind it, creating a whole new term (that was named loosely after him) for story telling nonsense or a “stupid” element of the story. 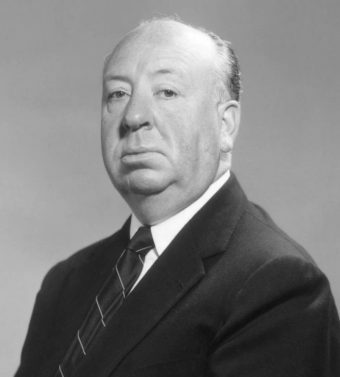 Whatever the case, it was Hitchcock who ultimately popularized the term “MacGuffin,” thanks to his frequent use of both the word and the plot device it described.